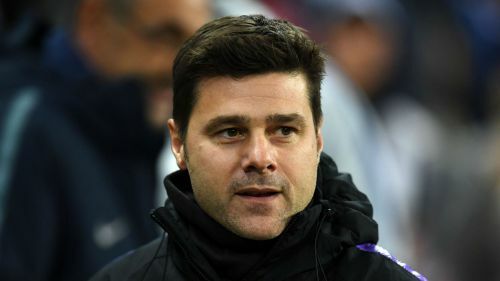 Mauricio Pochettino has dismissed Danny Rose's apathy with Wembley and described Tottenham's temporary home as a "gift" and "the best place in the world to play football". Just 33,000 turned up for the midweek home win over Southampton, after which Rose said playing at the national stadium was "not nice anymore" - a situation made even more frustrating as the delays over their new home continue. However, Pochettino was quick to stick up for a stadium that is arguably revered more around the world than in England itself. Ahead of Saturday's trip to Leicester City, he said: "I didn't hear what he said, but of course the comment arrived to me. "I was born in Argentina, and when I heard about England for the first time it was with all the problems in the Falklands. Very sad news when I heard it for the first time. I was in Argentina in my home town. "Then when I arrived in Europe, when I played in the World Cup against England, when we arrived in Southampton six years ago of course I completely changed my mind in the way I saw and now see this country. "For me it's an honour to be here, a pleasure to be here. I discovered amazing people and an amazing country. "We're always comparing Argentina with Spain and Italy but we have more in common with English people. "When you love football like we do, always you hear about Wembley. It was always a dream to play at Wembley. I played there in 2000 with the national team, at the old Wembley, and it was a dream come true. "Every day going down the North Circular, when I look at the arch I say 'thank you' because every game I play at Wembley is a gift. "For me, it's the best place in the world to play football." Tottenham will visit another iconic venue on Tuesday when they go to Barcelona's Camp Nou, needing a win to guarantee a place in the knockout stages of the Champions League. Pochettino is not looking beyond Leicester, though, with Spurs going into the game in third place in the Premier League, eight points behind leaders Manchester City. He added: "We're going to try to take the best decision for Saturday to try to be competitive and be close to winning and perform in the best way. "It's not easy of course to play every three days. It's so tough for the players and for the staff, but we are going to try to take the best decision, to put out a very fresh team, fresh legs and mind and try to compete in the best way. "The focus for us is to try to win the three points against Leicester. That is the most important game. It doesn't exist, Barcelona. "We're going to maybe rotate some players because they need rest, not because we're going to play against Barcelona on Tuesday." Mousa Dembele, Davinson Sanchez, Victor Wanyama, Juan Foyth and Kieran Trippier all miss the game at the King Power Stadium, as does Erik Lamela but the Argentina winger should return to training this weekend.